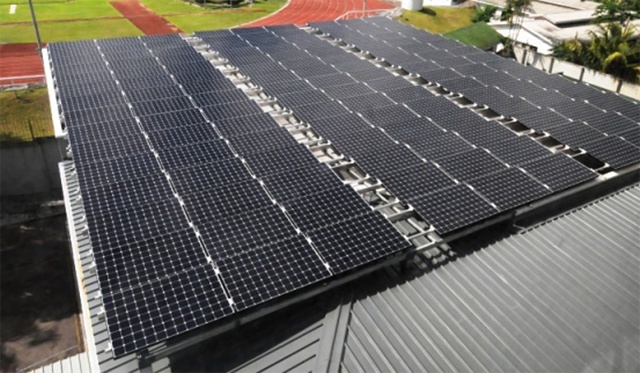 (Seychelles News Agency) - Businesses in Seychelles now have the opportunity to become more energy efficient and sustainable with the launching of the Mauritius Commercial Bank’s (MCB) green loan initiative on Monday. MCB’s Chief Executive Jean Michel Ng Tseung told journalists that the loan is directed to individuals, existing companies and those wishing to join the business world. The green loan can finance up to 100 percent of the value of the project and can vary between $5,500 to $7.6 million. “Apart from providing the financial benefits of the projects, clients need to provide the ecological benefits of their project,” says Ng Tseung, adding that successful projects in Mauritius have been photovoltaic roofing, waste energy, and bio-fertilizers from sugar cane. 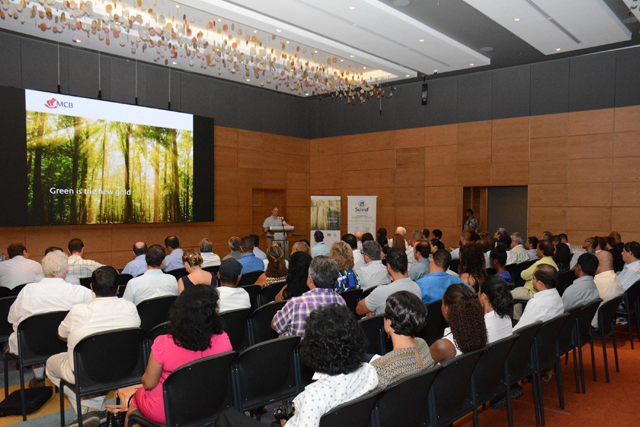 Seychelles’ Minister for Environment and Energy Didier Dogley said having the initial contribution to invest in renewable energy had been a significant barrier for interested businesses. A local renewable energy service provider also outlined the fact that their clients find it difficult to produce the ground payment to venture into their project. “With the loan MCB is providing, it will bridge the gap. One is not obliged to have this big outlay to provide. They take this affordable loan from MCB that will support the client,” says Richard Hoareau, director of Energy Solutions Seychelles. Businesses have the liberty to choose between renewable energy projects, energy efficiency and environmental performances. Jean Pierre Morin, owner of Rosebelle farm and butcher shops, says that going green will give him a big benefit. The Seychelles Energy Policy for 2010-2030, which was completed in 2010, aims for the country to meet its national target of producing 15 percent of its energy requirements from renewable sources by the year 2030, although the environment, energy and climate change ministry is confident the target would be met by 2020. The 115-island archipelago in the western Indian Ocean is continuously making efforts for its islands to become more environmentally friendly. The island nation’s government has put in place several financing programmes to allow individuals and companies to invest in more sustainable projects. This is also one of the key reasons why MCB Seychelles has introduced the green loan initiative that has been successful in Mauritius since its introduction in 2009. In March 2014, MCB proposed to Agence Française de Développement (AFD) to spread the loan initiative on islands in the region. The Mauritius Commercial bank (MCB) has been licensed in Seychelles since the 1990s.